Dr. Bogs Testifies in Support of Labeling GMO "Foods"
Bugs, Pests, Crop-Damaging Insects—Whatever they are Called, they are a BIG Problem! 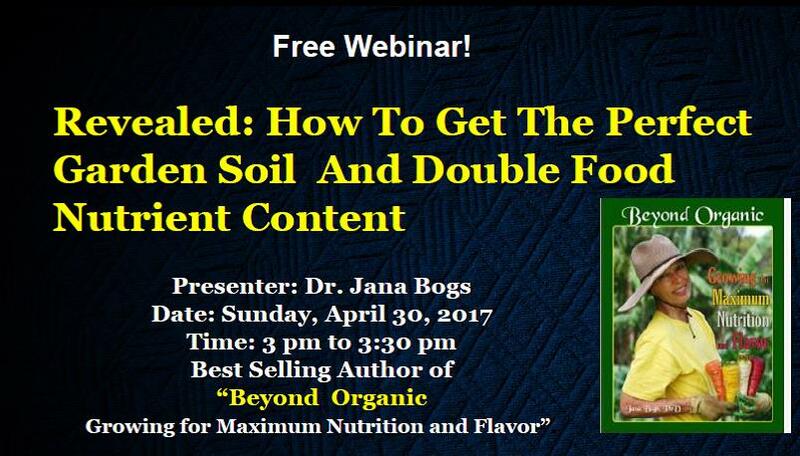 if you please, missed the webinar re Perfect Garden Soil and How to Double Food Nutrient Content. do you have a DVD of it. Hi Paul, There are a bunch of videos under the video tab on the same material, which go into more depth. Thanks for your interest!